It’s pretty simple to boil Toyota’s Highlander Hybrid down to this: It’s the Lexus RX400h’s drivetrain under Toyota’s unpretentious crossover sheetmetal. Not only is that reduction simple, it’s pretty much accurate too. So I’ve driven the Highlander before… and I’ve driven the RX400h before… maybe I can review this vehicle by mashing together the two reviews I’ve written before and throwing in a few tweaks. Text from my Highlander review is in italics. Text from my RX400h review is in bold. New text is in plain type. Toyota's Highlander just can't seem to take itself too seriously. 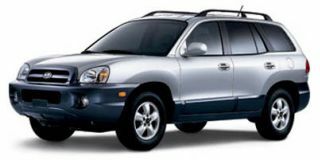 This is a car-based SUV that's sorely lacking in the pretentiousness department. 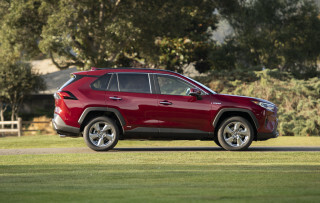 In fact, as we've said, it almost lacks enough pretenses to qualify as a crossover SUV at all. In its heart, the Highlander knows that it's really a Camry wagon. 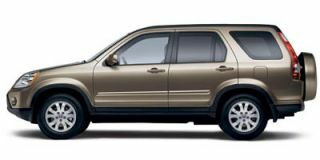 Back in 2004, Toyotahas tweaked many of the Highlander's details, added their instantly ubiquitous 3.3-liter V-6 engine to the menu, and bolted in a third-row seat. But they still haven't given didn’t give it an attitude, and that's just fine. ” system that’s also used in Lexus’ RX400h. While the RX400h's and Highlander’s hybrid system carries the same "Hybrid Synergy Drive" name as that in Toyota's Prius, it's not just the Prius' motors and battery pack wedged into the RX or Highlander. In fact the RX400h's and Highlander’s system is in some ways more advanced than its hybrid cousin. 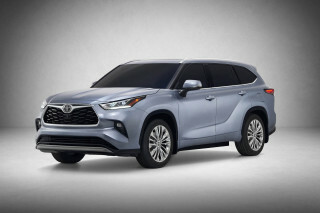 As a "full hybrid" the RX400h and Highlander is are capable of running solely on its their electric motors, solely on its their 3.3-liter V-6, or with the electric and internal combustion systems working in tandem. The DOHC, 24-valve V-6 is the same basic 3MZ-FE engine installed in the RX330 (and the ES330, Toyota Sienna, Solara, Highlander, and some Camrys) without an alternator and with the power steering pump, water pump, and A/C compressor removed to be driven electrically. 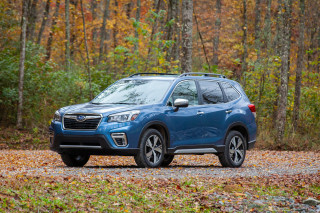 Despite that reduction in parasitic drag, revised calibration of the VVT-i variable valve timing and electronic throttle limit engine output to 208 horsepower at 5600 rpm and 212 pound-feet of peak torque at 4400 rpm compared to the RX330's and regular Highlander V-6’s 230 hp at 5600 rpm and 242 lb-ft at 3600 rpm. The lower output, claims Lexus, is "to promote smooth integration with hybrid system" which includes a unique electronically controlled continuously variable transmission (CVT) instead of the five-speed automatic transaxle to which the 3.3-liter is leashed in all its other U.S. applications. The electrical portion of the hybrid system consists of three 650-volt "Motor Generators" and a sealed nickel metal hydride (Ni-MH) battery pack stowed under the rear seat. The first of the motor generators is front-mounted and acts as the engine starter and as an engine-driven generator. The second is also mounted up front and drives the front wheels through the CVT along with acting as a generator during regenerative braking. Finally (in the four-wheel drive Highlander Hybrid and the RX400h) the third motor is rear-mounted where it powers the rear wheels and generates current during braking. In fact that electric motor is the only power the rear wheels get, giving the RX400h (and the 4WD Highlander) an unusual all-wheel-drive system and saving again on parasitic drivetrain losses. A computer determines just how much torque should be pumping through which wheels and at which time. Put all the engines together and Lexus says there's a total of 268 hp aboard — fully 38 more than what motivates the RX330 (or Highlander V-6). However at 4365 lb, the RX400h weighs in 300 lb heavier than the RX330, so that's a mitigating factor on performance. 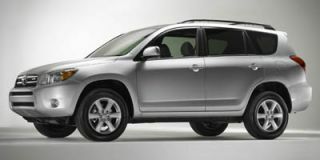 At 4070 lb in two-wheel drive form and 4245 lb in all-wheel drive, the Highlander is slightly lighter than its Lexus brother. So theoretically at least, this should be the world’s quickest hybrid SUV when it goes on sale in June. Of course if you’re buying your hybrid SUV as a drag racer, well, that’s sort of perverse. system operates in the Highlander with the same casual brilliance it does in the RX400h. But the The hybrid's electric motors add gobs of torque throughout the drivetrain's operating range and that means better initial acceleration and consistent urge toward terminal velocity. It's also tremendously smooth and quiet — maybe even a bit smoother and quieter than the very smooth and very quiet RX330 and Highlander — at virtually all times. But it doesn't feel like a conventional drivetrain. At low speeds the RX400h or Highlander Hybrid will creep along silently tugged along by its front electric motor and when the throttle is mashed the engine spins to its torque peak and just stays there as the CVT does its infinitely variable work. When the Highlander Hybrid is running on just the electric motors, it’s virtually silent. When the V-6 is contributing, it’s only slightly less than that. 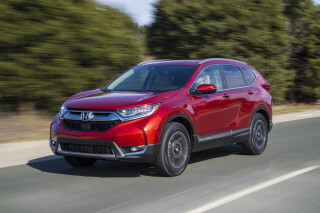 Some drivers may never grow acclimated to the CVT’s operation, but otherwise this is simply the best drivetrain for around-town use ever put into a crossover SUV. 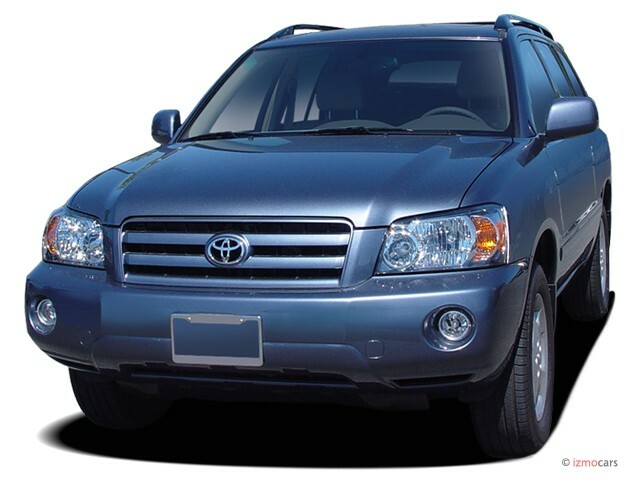 Since the Highlander SUV comes equipped with Toyota’s Vehicle Stablity Control (VSC), Traction Control (TRAC), Anti-Lock Brake System (ABS), Electronic Brake-force Distribution (EBD), Brake Assist (BA) and the new Vehicle Dynamics Integrated Management (VDIM) the most efficient way to describe the driving experience is with one word: antiseptic. Even if the chassis wants to do something untoward there are too many computers on board to keep it from behaving badly. And there’s nothing to indicate that the chassis has any intention to behave badly at all. There’s also nothing to indicate it wants to do anything interesting either — the steering is bland, the cornering limits modest and the reflexes subdued. 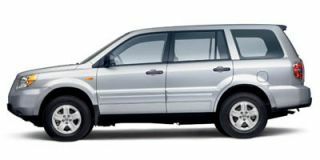 Because the Highlander gained a third-row seat with its mid-cycle 2004 updating, the Hybrid version is the first hybrid with seats enough for seven. The Highlander's third-row seat isn't a place anyone bigger than a four year-old would want to spend a lot of time. Leg room is a dead heat between the Pilot and Highlander at 30.2 inches, but the Honda has the Toyota covered in virtually every other dimension back there, including a substantial 5.6-inch advantage in shoulder room and a massive 6.6-inch advantage in headroom. Virtually all of the Pilot's additional rearmost seat room can be traced directly to the fact that it was designed from the outset to accommodate the third seat and therefore has, for instance, a roof that rises in the back to open up for the backbenchers. On the other hand, the Highlander's roof has a drooping rake to it that squeezes down on top of the where rearward passengers heads should be. It also means the Pilot has — rather optimistically — seatbelts enough for three passengers back there while the Highlander has them for two. The Highlander interior design is otherwise comfortable and contemporary looking. The “Optitron-illuminated” instrumentation is contained within three circles in front of the driver, with the ventilation, entertainment and navigation systems conventionally mounted in the center stack. The speedometer is still the center and most prominent instrument, with a power production gauge to the left (expressed in kilowatts) and the fuel and temperature gauges to the right. A diagram of power usage similar to that on the Prius shares the navigation screen. The seats have flat bottoms but better shaped backs and there are more airbags aboard this Highlander than there were aboard the Hindenburg. On the outside, what distinguishes the Hybrid from regular old Highlanders are its own unique chrome-tinged grille, new front bumper, and LED taillights. The wheels are unique 17-inchers insides P225/65R-17 all-season radials. Sheetmetal boxes don't come much more squarely cut than the Highlander's, and that doesn't change for 2004 with the Hybrid version. Unlike the RX400h that comes only one way, there are four different Highlander Hybrids with both base and Limited versions coming in two- or four-wheel drive. The base Highlander Hybrid is a bit better equipped than the regular base Highlander (which is, after all, available pretty well stripped and has a four-cylinder engine), while the Limited includes virtually everything you’d expect in a Lexus. That range means that prices for a Highlander Hybrid start at just $33,030 for a two-wheel-drive base machine. 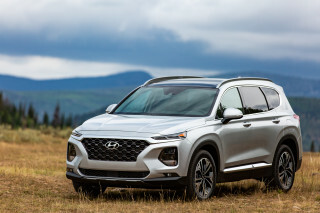 That’s pretty dang cheap compared to the RX400h, and this SUV carries all that luxury liner’s politically correct street cred along with the extra advantage of not being offensive to your PETA-member friends by eschewing leather upholstery. The Limited packs in the leather and starts at $37,890. Throw fiscal caution to the wind and the Hybrid Limited with 4WD is $39,290. That’s still a bargain compared to the RX400h… though not cheap. The 2004 Highlander Hybrid isn't going to inspire much passion among its buyers, but it will coddle every one of them in comfort through years — nay, decades — of reasonable transportation duty. The extra power is nice, and the third-row seat will keep a few buyers from scurrying over to the Honda store, but this is fundamentally the same vehicle as it was before the hybrid drivetrain was installed and that's plenty good. But as with the RX400h, compared to the normally aspirated version of the Highlander, the Highlander Hybrid isn’t that much better. Sure the unlikely-to-occur-in-real-life EPA mileage ratings are impressive (33 city/28 highway for the 4x2 and 31 city/27 highway for the 4x4), but the most expensive regular 2005 Highlander — the V-6 Limited 4x4 — is only $31,380. 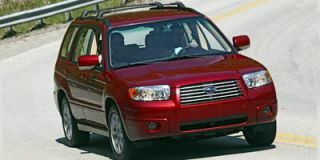 And the cheapest 2005 Highlander — the four-cylinder 4x2 — is just $24,080. So there’s a mighty premium being asked for the hybrid and there’s no reasonable way to make the math work so that the fuel savings pay the difference. That’s particularly so if you try and account for the eventual replacement of the Hybrid’s batteries. So to buy an RX400h a Highlander Hybrid a buyer must conclude that there's something beyond mere economics at work in the decision; that this machine's good intentions and excellent execution are worth telling all the neighbors about. But it also makes one hungry for the next step in Toyota's evolution of the crossover SUV into the perfect consumer product. Will they play catch up when they design the next Highlander? Or leap ahead of everyone else? The Highlander Hybrid has me expecting a leap. Best car I ever owned. 156,000 mi. Never a break down or problem with this car. Just bought a 2017 Highlander but kept my '06. Hope the new one turn out to be as good. I love all aspects of this SUV except for the fuel mileage. At 26.4 MPG is not the best in the industry, but all of the other qualities overcome it. I am extremely tall and had to move the seat mount back 6... I love all aspects of this SUV except for the fuel mileage. At 26.4 MPG is not the best in the industry, but all of the other qualities overcome it. Does exactly what you should expect from a good "all season" car. Good value and very reliable vehicle. Exterior is on the bland side but the ride is comfortable, the 6 cylinder engine provides good highway ride and decent acceleration.